HCL Infosystems, the largest Indian IT company focused on the domestic market, has emerged as the best employer among IT companies in a survey by leading IT industry journal Dataquest, in association with CyberMedia Research (CMR). Mumbai-based Rolta has taken the second spot followed by iGATE-Patni. The annual IT Best Employer Survey 2011 conducted among a selected sample of 3,337 professionals across India reveals SAP Labs, a new entrant, has taken the fourth spot while a Bangalore-based niche player Tavant has emerged as the fifth best employer. Mahindra Satyam's sixth position signals it has moved past the crisis. Tulip Telecom, CapgeminiIndia, Virtusa India, and Nagarro Software take up the remaining positions in the Top 10. India-based information technology services firm HCL Technologies is raising higher with each passing day and now the company aims to maintain 14% margins but some factors can hamper this growth. After posting a 51.7% rise in its fourth quarter of fiscal year 2011, HCL Technologies now aims bigger. Working with bigger partners like Microsoft, IBM, HP and Oracle, HCL’s PAT came in at Rs 510 crore, and thus calculations on a sequential basis showed that the company’s net profit was higher by 9%. Technical analyst Simi Bhaumik has maintained 'buy' rating on HCL Technologies Limited stock to attain a target of Rs 532. According to analyst, the investors can buy the stock with a stop loss of Rs 513. The stock of the company, April 27, closed at Rs 515.45 on the Bombay Stock Exchange (BSE). Current EPS & P/E ratio stood at 15.51 and 33.51 respectively. New Delhi, April 20 : HCL Technologies Wednesday posted an increase of 26.37 percent in net profit at Rs. 331.8 crore for the quarter ended March 31 as against Rs. 262.6 crore during the like period of the last fiscal. At the Bombay Stock Exchange, the shares of the company soared 8.66 percent to rule at Rs. 516.80 in afternoon trade. It had touched an intra day high of Rs. 522.35. Uptick in discretionary IT spend and recovery in the European market will boost volume growth for HCL Tech. Further, strengthening of EUR against USD will have positive near-term impact. HCL Tech revenues grew 7.5%QoQ to USD864mn led by strong volume growth of 6.5%QoQ, better than peers Infosys and TCS, and 1%QoQ positive impact of cross currency. Lower forex losses led to surge in profitability. EPS stood at Rs5.7 (PINCe - Rs5.5, Consensus Est. Rs5.4). Technical analyst Salil Sharma has maintained 'buy' rating on HCL Technologies Limited stock with a target of Rs 493. According to analyst, the investors can buy the stock with a stop loss of Rs 468. The stock of the company, on January 17, marked its closure at Rs 475.40 on the Bombay Stock Exchange (BSE). The share price has seen a 52-week high of Rs 492.40 and a low of Rs 330 on BSE. Current EPS & P/E ratio stood at 13.45 and 36.04 respectively. Technical analyst Hitendra Vasudeo has maintained 'buy' rating on HCL Technologies Limited stock with targets of Rs 489 and 518. According to analyst, the investors can purchase the stock with a stop loss of Rs 459. The analyst added that the investors need to hold the stock for 1-2 trading sessions to attain the said target. The stock of the company, on January 11, closed at Rs 474.55 on the Bombay Stock Exchange (BSE). PINC Research has maintained buy rating on HCL Technologies Ltd with a price target of Rs 488 in its report dated Dec 15, 2010. The report said that uptick in discretionary IT spend will continue to provide robust revenue growth for HCL Tech. Recovery of the BPO segment will also provide support to operating margin in FY12. Further strengthening of EUR against USD will have positive near-term impact. What will move the stock? Uptick in discretionary IT spend will continue to provide robust revenue growth for HCL Tech. Recovery of the BPO segment will also provide support to operating margin in FY12. Further strengthening of EUR against USD will have positive near-term impact. What will move the stock? Stock market analyst Anand Kuchelan of Fudiciary Euromax Capital Markets has maintained 'buy' rating on HCL Technologies Ltd stock for short term. According to analyst, the interested investors can buy the stock with a target of Rs 450. The stock of the company, on Sep 15, closed at Rs 422.20 on the Bombay Stock Exchange (BSE). The share price has seen a 52-week high of Rs 448.80 and a low of Rs 290 on BSE. Current EPS & P/E ratio stood at 15.01 and 27.97 respectively. Stock market analyst JK Doshi has maintained 'buy' rating on HCL Technologies Ltd stock with one-week target of Rs 415. According to analyst, the interested investors can buy the stock at Rs 390 with strict stop loss of Rs 385. The stock of the company, on Sep 01, closed at Rs 386.55 on the Bombay Stock Exchange (BSE). Current EPS & P/E ratio stood at 15.01 and 26.13 respectively. Software exporter HCL Technologies has announced its first quarter financial results for the fiscal year 2010-11 and it has informed that it has managed to register a profit which is better than that of the expected figure. According to the company, has posted a net profit of Rs 342 crore for the quarter that ended in 30th June, 2010 which is 3.7% of the net profit figure of the similar quarter in the last fiscal. The company has also informed that the increased number of outsourcing work has propelled the net profit rise of the firm. HCL Technologies has announced an increase of 18.6% in its annual revenues that stood at Rs 12,565 crores as against last year. Indian IT giant recorded a 2 per cent growth in its net income, which has crossed Rs 1,303 crores this year. For the fourth quarter as well, the company declared a 11.4% (quarter-on-quarter) and 17.8% (year-on-year) growth in revenues that amounted to Rs 3,425 crores. Stock market analyst Mitesh Thacker has maintained 'hold' rating on HCL Technologies Ltd stock with targets of Rs 405-410 and then 450. According to analyst, the interested investors can buy the stock on declines. On July 26, the stock of the company closed at Rs 377 on the Bombay Stock Exchange (BSE). Current EPS & P/E ratio stood at 17.69 and 21.62 respectively. The share price has seen a 52-week high of Rs 448.80 and a low of Rs 236 on BSE. The leading brokerage firm in the country, Sharekhan predicts HCL technologies will outperform other IT firms of India. HCL Tech has produced an impressive third quarter results for the financial year 2010. The net revenue and profit has gone up remarkably. The consolidated revenue of the firm has gone up by 1.4% to Rs 3,075.7 crore for the quarter. The HCL stock price has also improved. As a result Sharekhan has upgraded its rating on HCL Technologies to 'Buy' category. The brokerage firm has advised its clients to 'Buy' or 'Hold' the stock for the current period of time. HCL Technologies on Wednesday said that the company has registered a profit of Rs. 262.57 crore for the third quarter ending March 31. In percentage terms, it means that it has increased by 72 per cent for the period as compared to last year. The company which is into the business of software outsourcing said that it has managed to show such an increase since it went for many strategic moves. 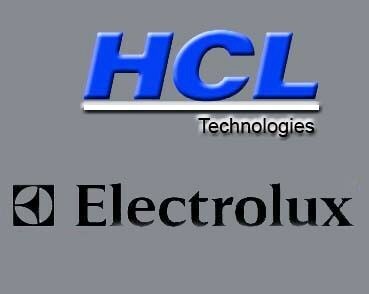 HCL Technologies has signed a deal with Electrolux to provide IT services for next five years to the Electronics major. The deal shall also provide a couple of other favourable points for the success for technology services company HCL. The deal which is extended over a period of five years will involve delivery of IT Infrastructure management services for Asia-Pacific operations of Electrolux.